We all know that the most successful contests are ones that offer $25,000 round-the-world vacations for the whole family. The thing is, that’s not possible for most businesses. This article will give you 101 contest prize ideas, all of which are valued at under $500. We’ve structured these contest ideas based on 10 common industries. Simply click on your business type within the table of contents below to find contest prize ideas related specifically to you. Online contests are a perfect marketing strategy for any business within the women's fashion industry. Remember when targeting people with an online contest within the women's fashion industry that often your target market will be the partners or family of your official target market. This is especially true for Valentine's Day, Mother's Day and Christmas. Wishpond can help. 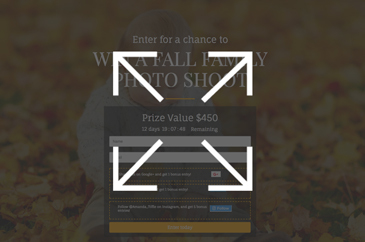 Our contest templates and easy-to-use builder make creating a successful contest super easy. Click here to learn more. 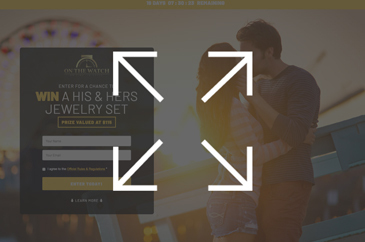 Online shoppers are the #1 target market for online contests. They're tech-savvy, heavy social-media users who are comfortable with sharing your contest with friends. As a result, my #1 recommendation for an ecommerce contest is a bonus entry campaign, in which your winner is decided randomly, but entrants can gain additional entries in return for sharing the contest with their friends. 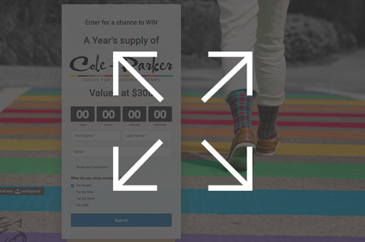 Check out the thumbnails below to see real-world examples of ecommerce bonus entry contests. If you're marketing within the men's fashion industry, remember that your target market is often the partners of men - not men themselves. With this in mind, focus on visual contests (and visual social media platforms to share). Studies show that women are more active on visual social media platforms (Instagram, Facebook, Pinterest, etc) than men. As a result, consider photo contests, hashtag contests, referral contests, etc, for your next Valentine's Day or Father's Day contest. Partner with a barbershop in your area and give a "manly makeover"
Ready to start your men's fashion contest? We run more contests for the fitness industry than any other industry (except, perhaps, ecommerce). The industry just lends itself to contests: it's a visual industry with the possibility of easy and clearly valuable prizes. Plus, the value of a lead is high and follow-up campaigns are often successful. And, better yet, whenever you give away a free month's subscription, you quickly make your money back when people continue with your gym (as opposed to the single-purchase structure of many other business types). I can't recommend contests enough for the fitness industry. Free membership - Only give a complete free membership if you're running a bonus entry/referral contest as you'll need to get a lot of prospective members to make your prize worth it. Ready to start your fitness contest? Photographers have, for a long time, relied on word-of-mouth and references to find success. Online contests, though, can be the equivalent of word-of-mouth x 100. 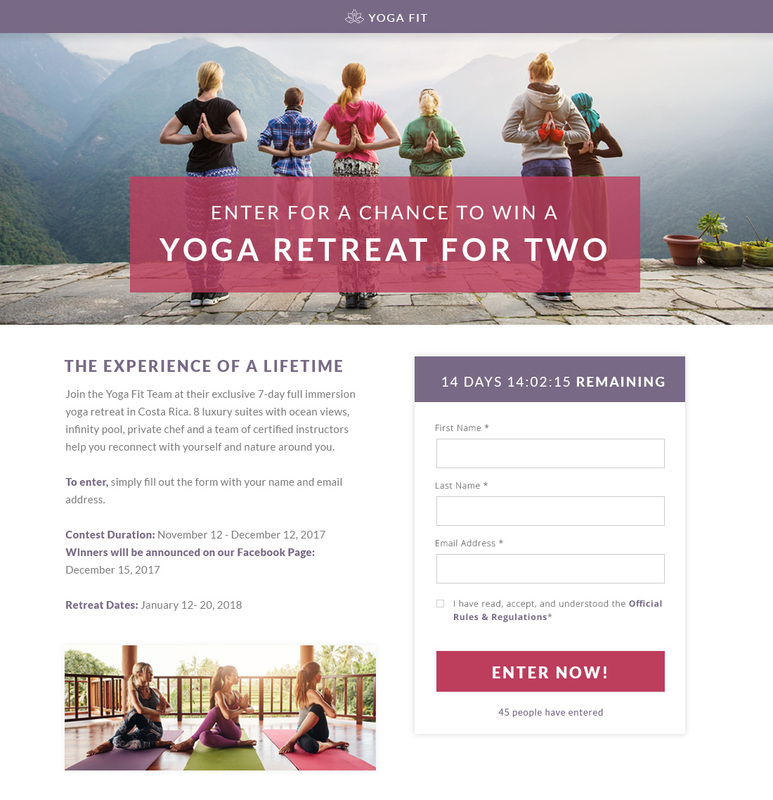 A bonus entry contest, where you give entrants additional chances to win when they share and refer their network, are a fantastic way for your business to get dozens of new prospective customers. Think about it, if you're targeting people for an engagement shoot, the majority of their friends will be around the same age - perfect for a follow-up email that prompts their own shoot down the line. Ready to start your photography contest? We very rarely run B2B contests, as there's usually a better way to get you the results you need. Speak to a Wishpond representative about your options today. The hospitality and spa industry have the greatest possibility of their contests going viral, as their prizes are (compared to every other industry in this article) the most valuable. My recommendation for the hospitality and spa industry is a straight sweepstakes (rather than one of the more complicated contest types). But remember to get your entrant's contact information. Because your prizes are worth so much, you'll need to convert as many of your entrants as possible to find a positive return on investment. Top Tip: We had a very successful client use a bonus entry contest to drive reviews. To learn how it was done, book a time to chat with one of our representatives and ask them about it. Ready to start your hospitality or spa contest? Contests can be a powerful way to drive people to your restaurant - particularly if you're a newer restaurant wanting to generate a bit of buzz. Restaurants are also a great partner for hotels, spas and theme parks in your area. If you're struggling for ideas beyond "win a free meal," reach out to a hotel nearby and pitch the idea of a "weekend getaway" package where they give away a two-night stay and you provide a romantic dinner. This will increase the value of your prize considerably and (therefore) the popularity of your contest. Ready to start your restaurant's contest? You might be surprised to hear that contests can work really well for the auto industry. But there's a single reason: Once you get a customer in, they'll keep coming back. Sometimes for years. 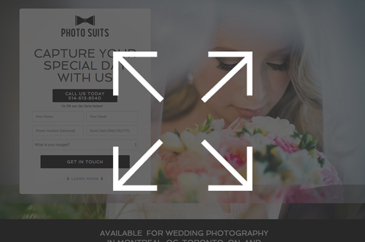 As a result, giving away something for free often results in a positive return on your investment within two visits. And you always have the possibility of an upsell. Ready to start your auto industry contest? One of the best things about online contests for the dental and cosmetic medical industry is that your services are high-value, and you have a high loyalty/return rate for your customers. All you need to do is find a simple contest prize and you become your winner's (and all your entrants, if you give a 50% discount to entrants in a follow-up email) go-to service provider. Ready to start your dental or cosmetic industry contest? There you have it, 101 contest prize ideas to try out for your next contest. Out of these 101 ideas, I hope there's something to give your contest a spark. Ready to get started? Wishpond's contest tools make it easy to create bonus entry contests, sweepstakes, photo contests, vote contests, Instagram hashtag contests & more.